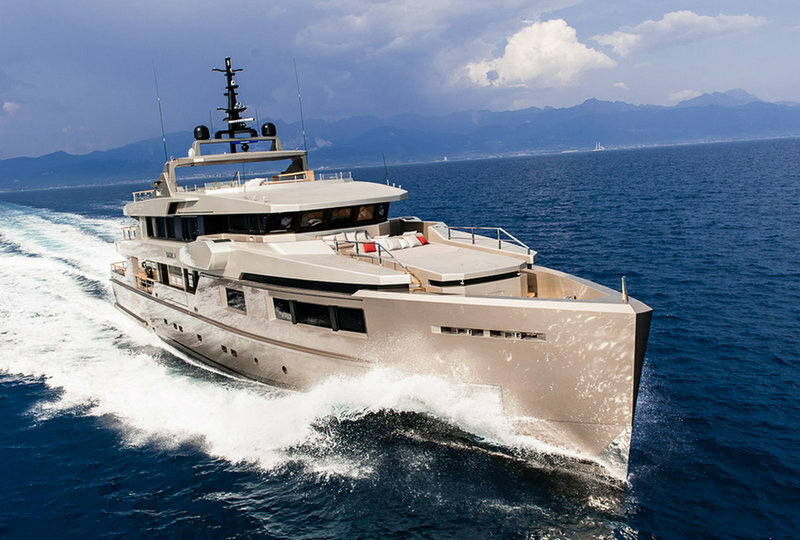 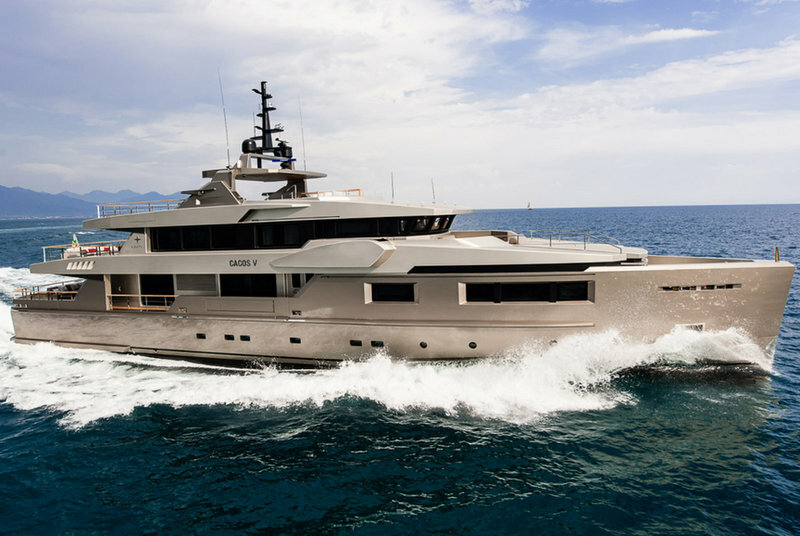 Launched in 2013, motor yacht GIRAUD is a beautiful 40-metre Impero 40 semi-displacement vessel, built by the prominent Italian shipyard, Admiral Tecnomar Group. 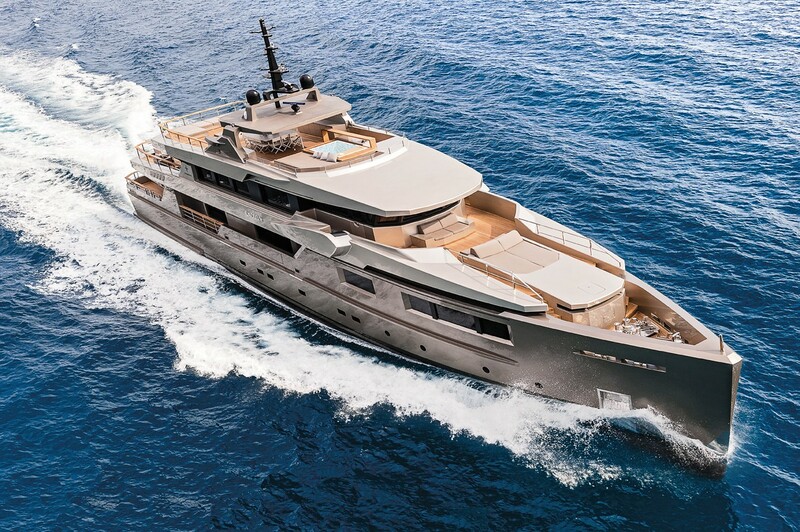 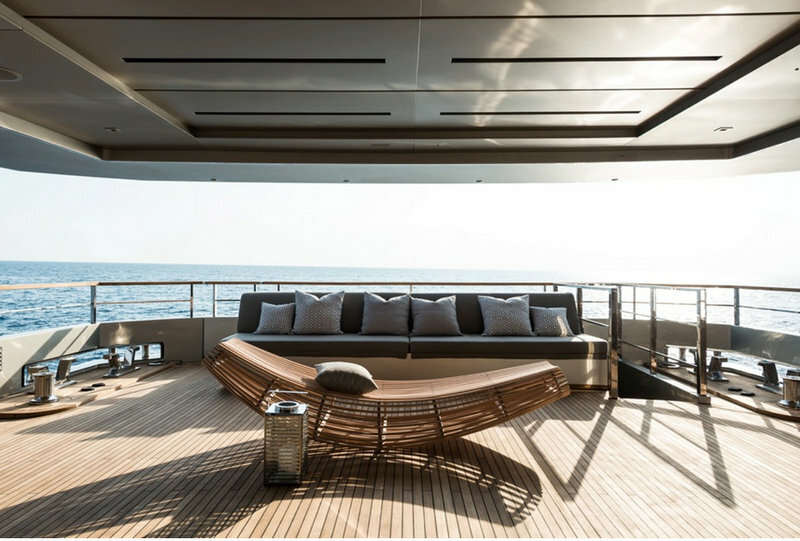 Featuring naval architecture by the yard's in-house team, GIRAUD yacht is designed by bespoke Luca Dini, in partnership with the Group Style Center. 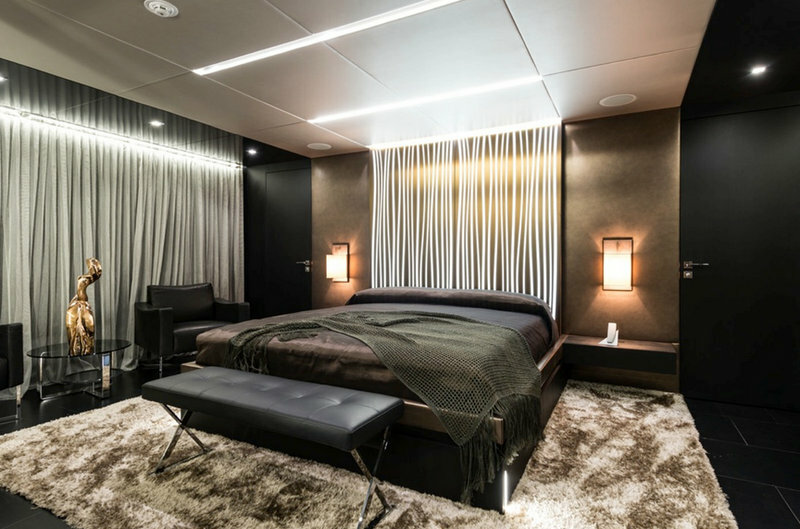 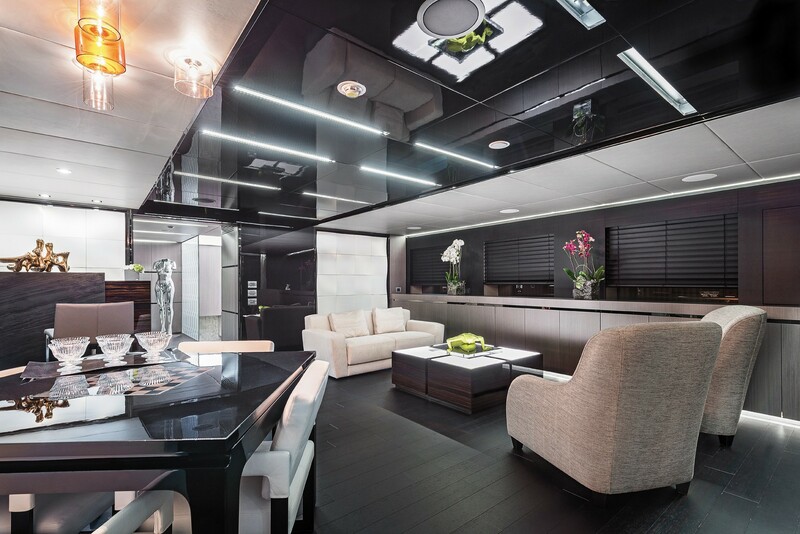 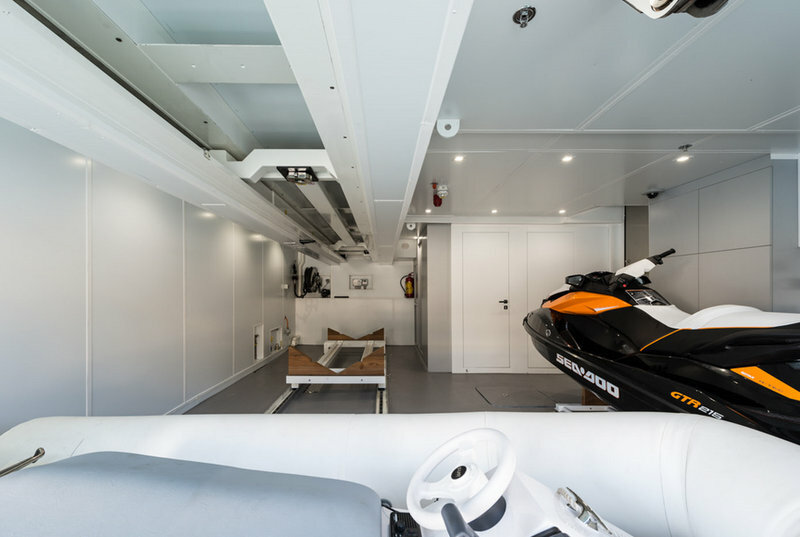 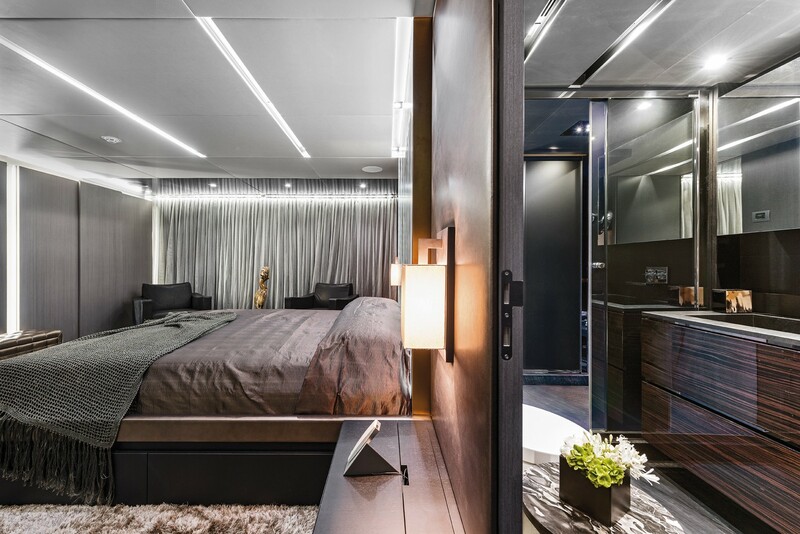 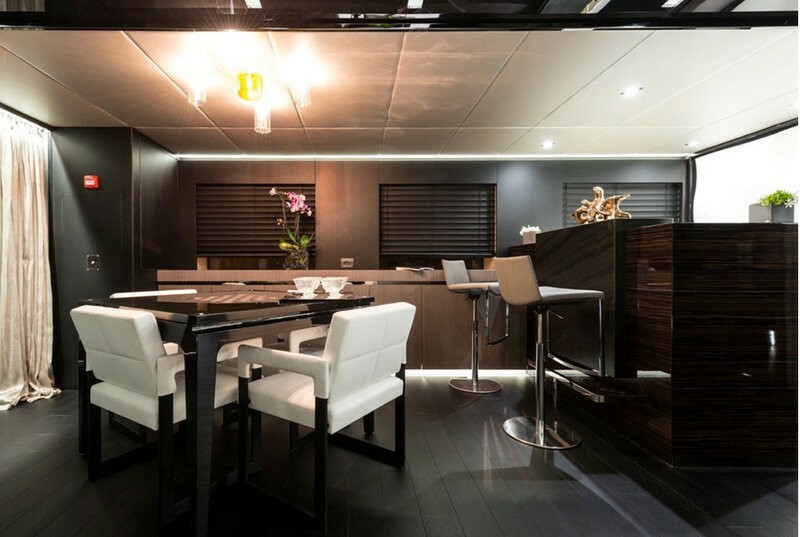 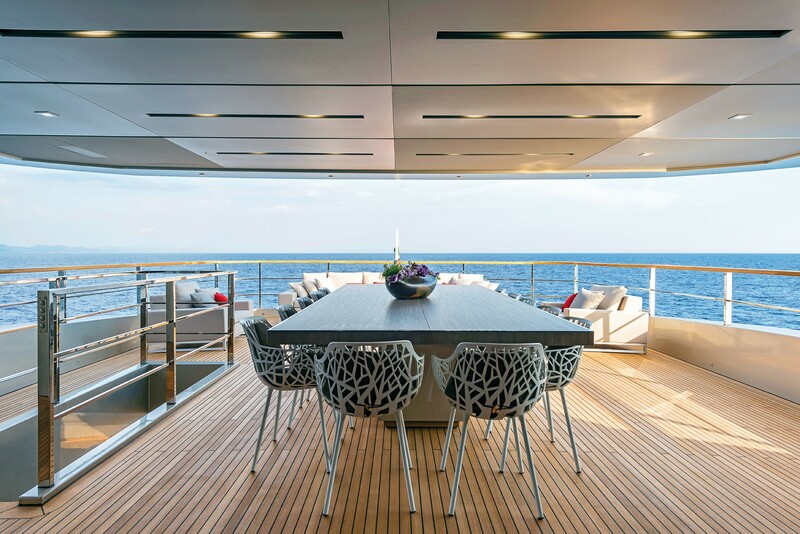 The yachts interior décor is contemporary and elegant. 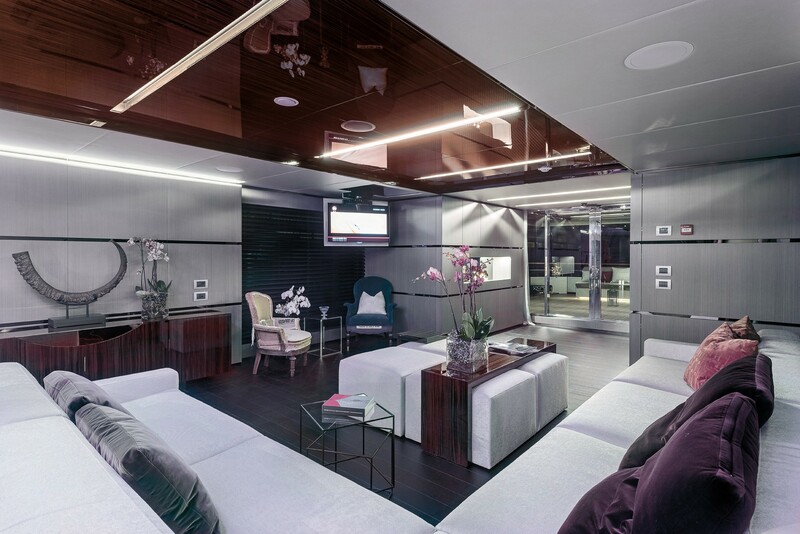 A spacious salon seats guests in comfort, offering a large sofa, coffee table and ottomans. 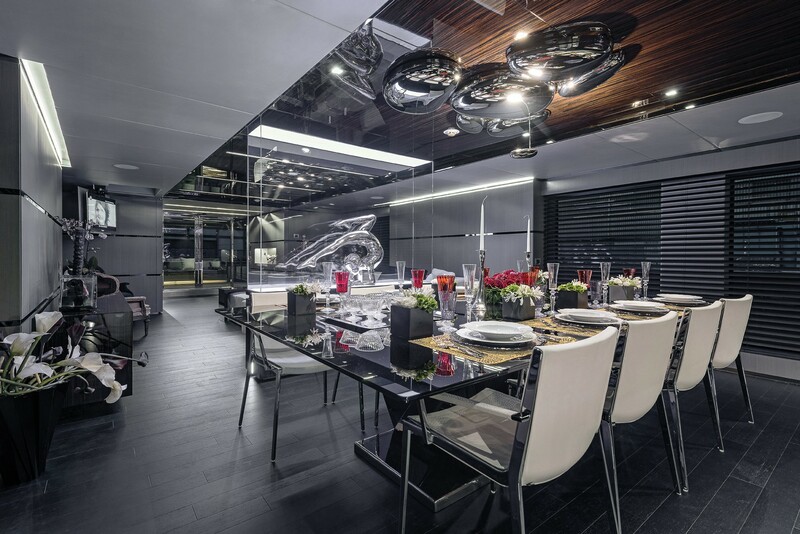 In a semi open plan, the formal dining area is forward. 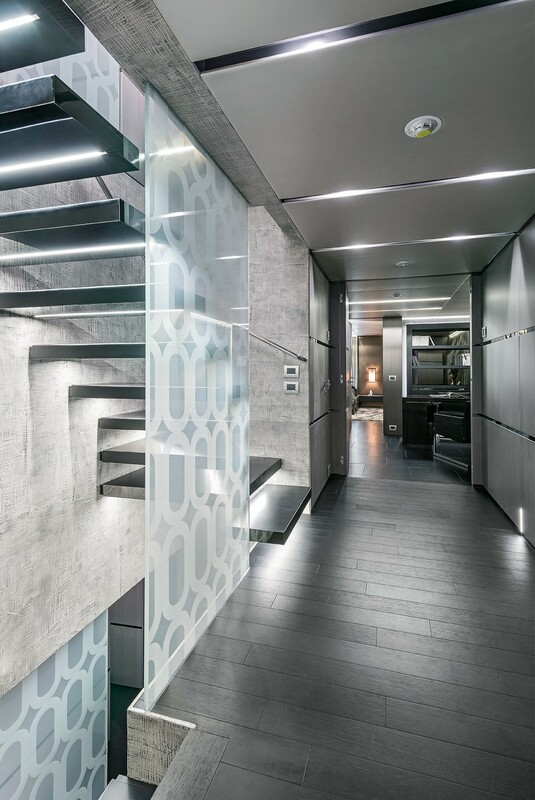 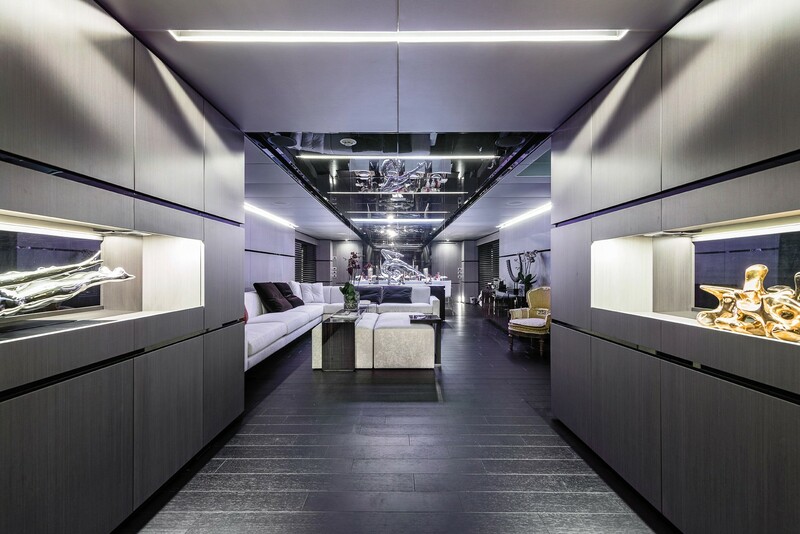 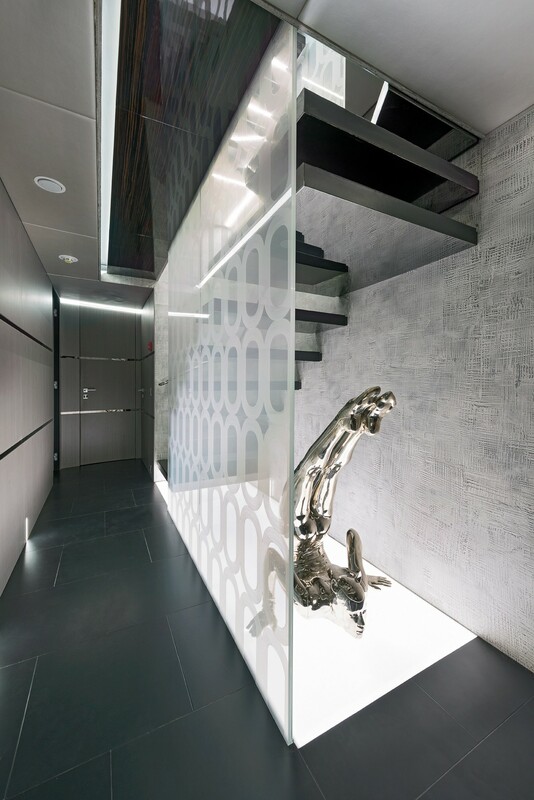 Cool grey panels and rich toned flooring create a subtle opulence. 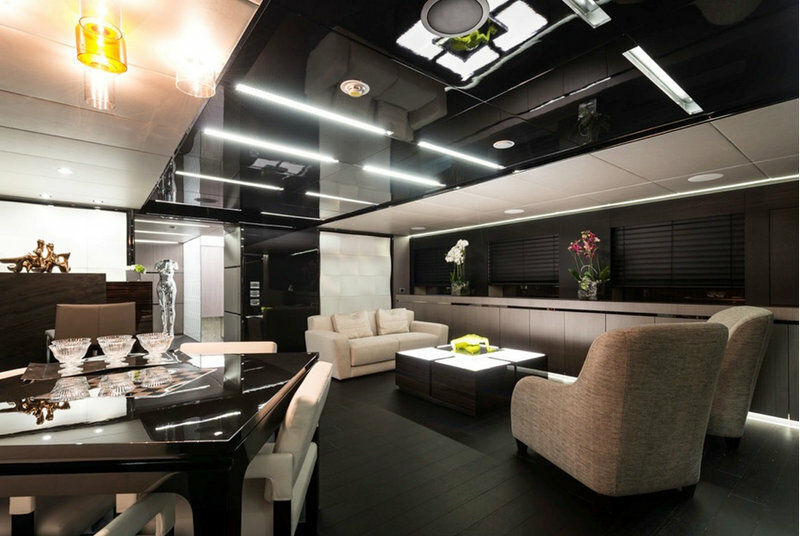 An upper salon provides a further relaxing lounge, perfect for casual entertaining. 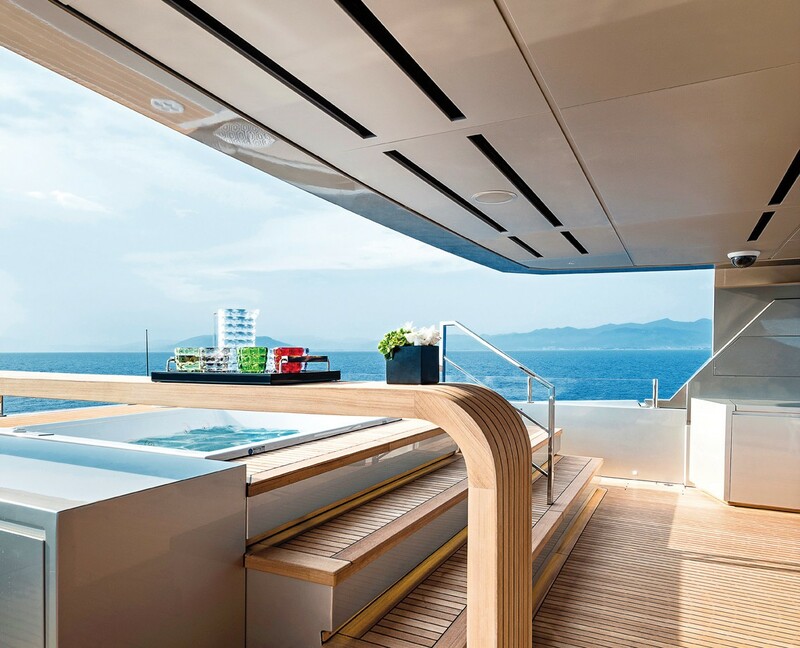 Exterior living is capacious on 3 levels. 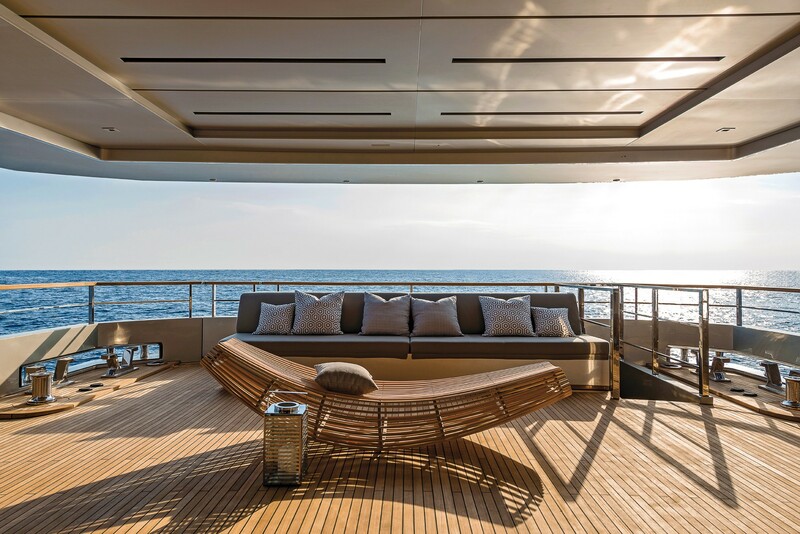 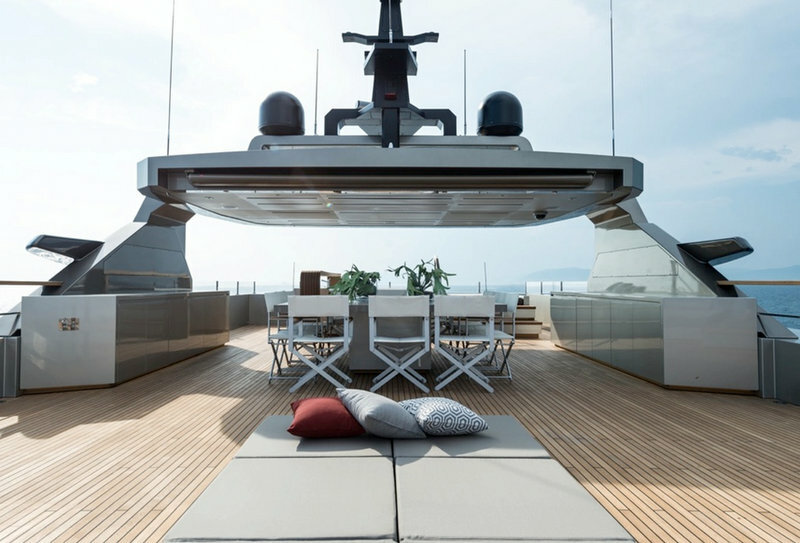 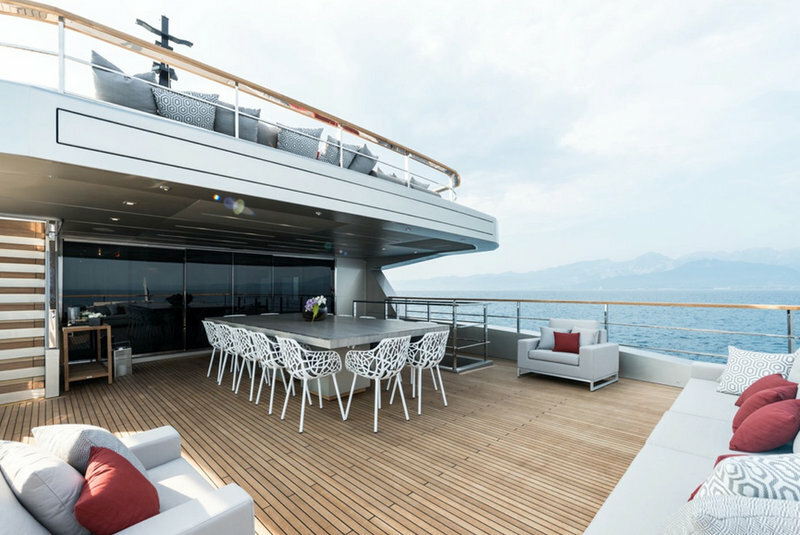 The main aft deck boasts ample seating and sunning space and is adjacent to the salon. 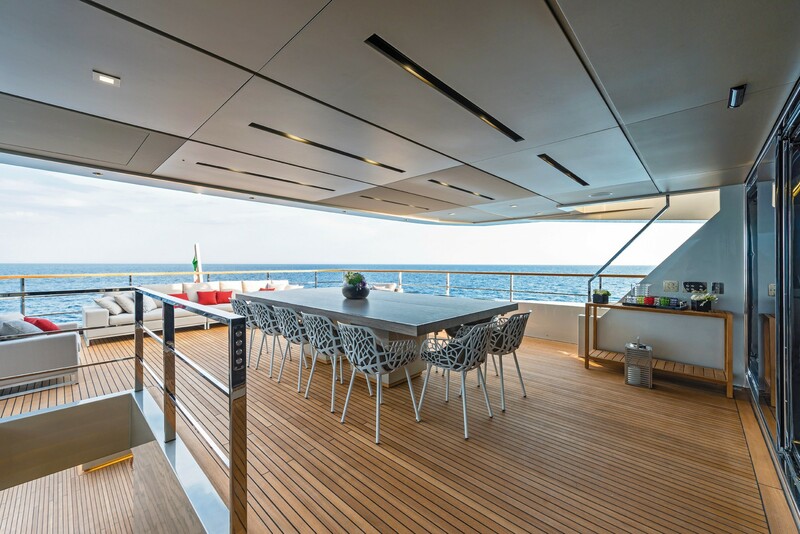 An upper deck has an alfresco dining option, exterior lounge and sliding glass doors to the upper salon. 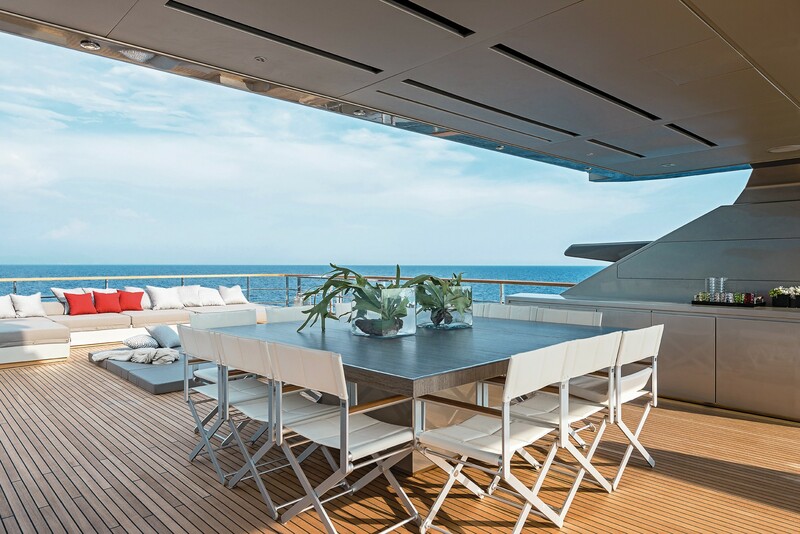 On the sundeck, guests can enjoy an additional alfresco dining table, fully equipped BBQ station, partial shade, Jacuzzi and sunbeds. 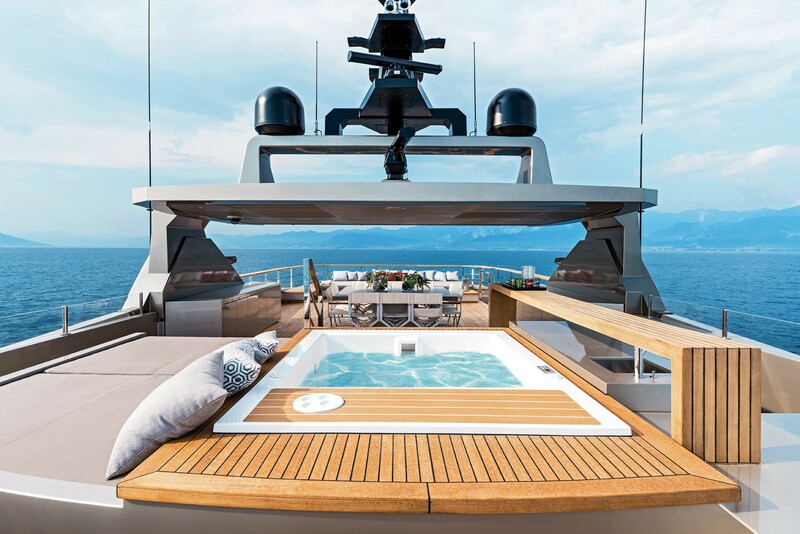 For the water enthusiasts, there is a generous swim platform, ideal for any sea activity. 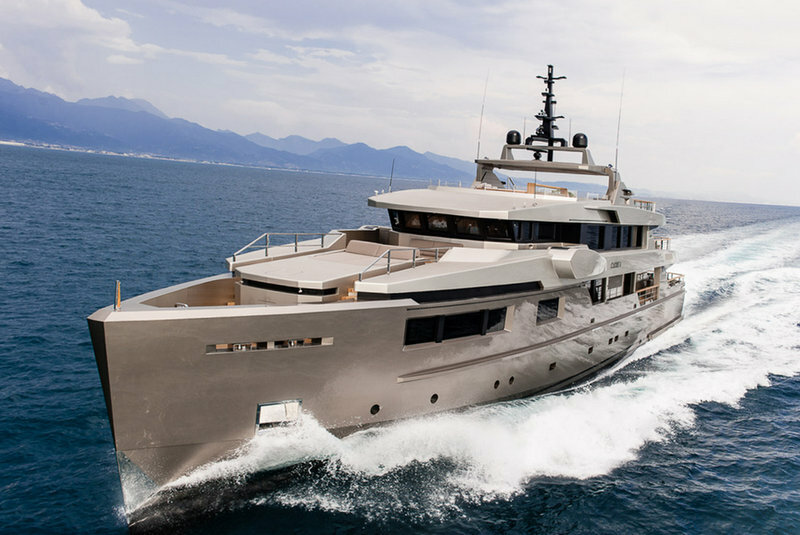 Impero 40 yacht GIRAUD provides luxurious accommodation in 5 well appointed cabins. 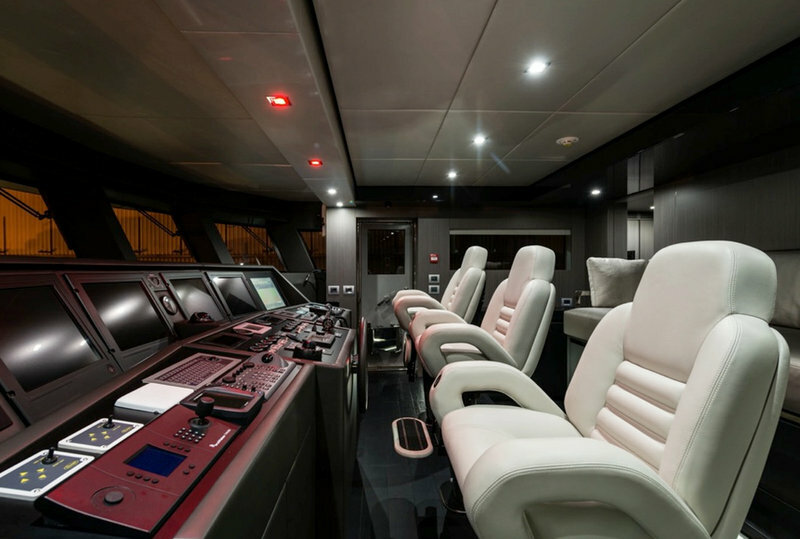 There is the Owner's area on the main deck, with a private office, a spacious full beam cabin, as well as a double bathroom. 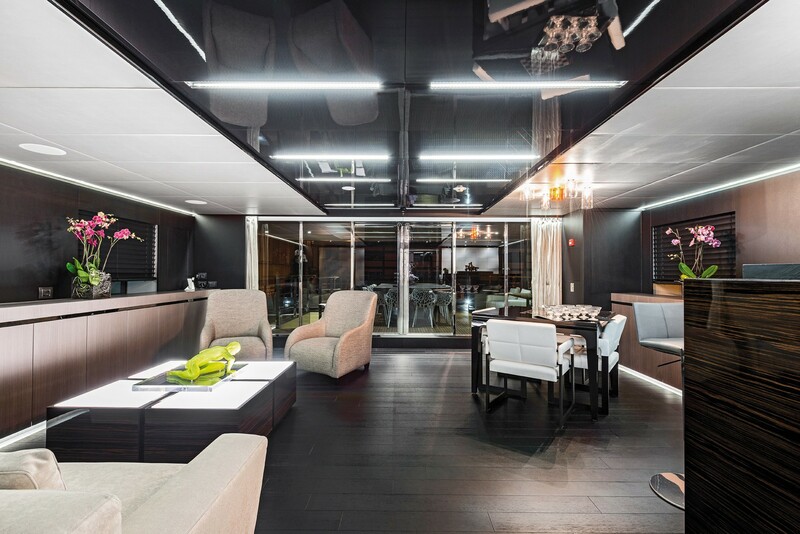 Additional 4 guest cabins can be found on the lower deck. 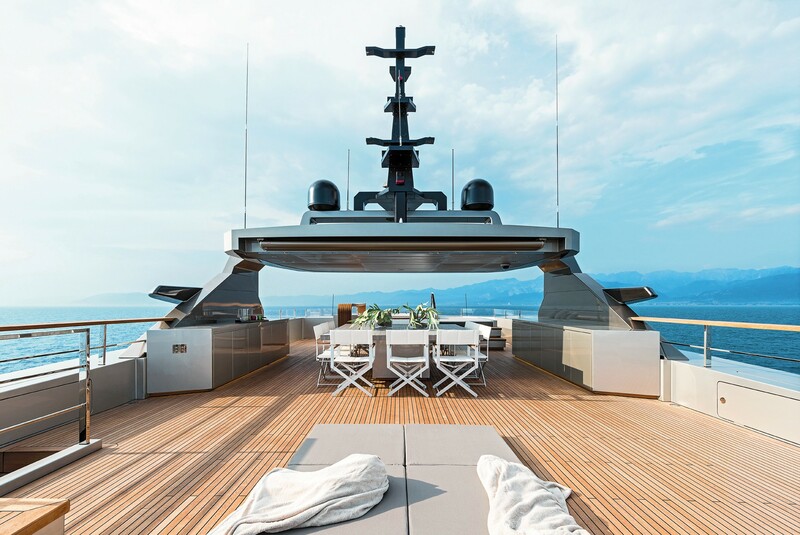 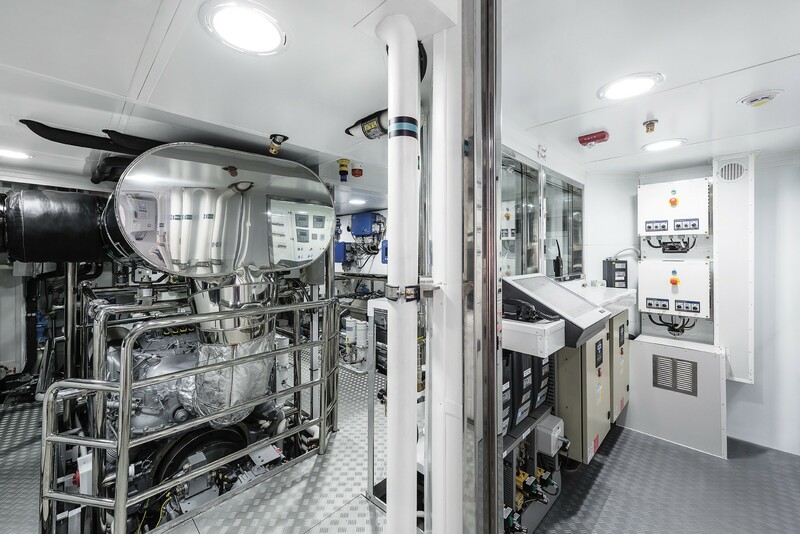 At the bow, there is the crew area with 3 crew cabins. 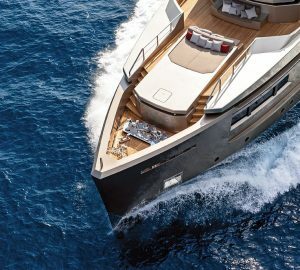 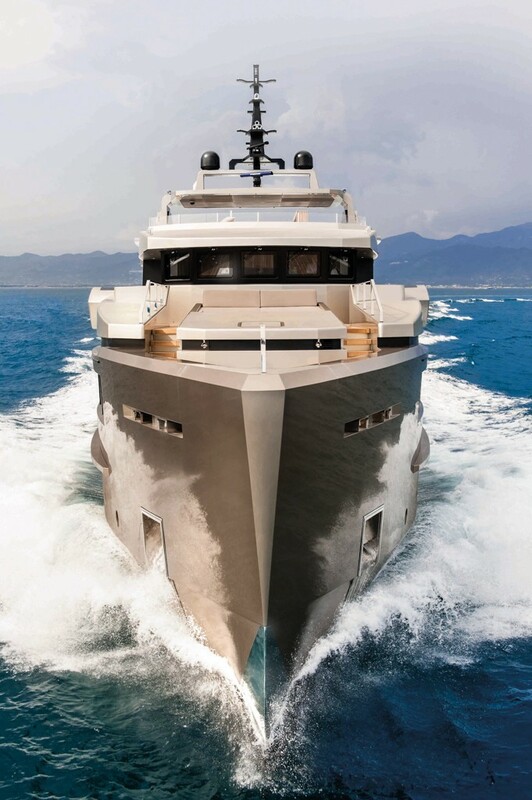 All-aluminium superyacht GIRAUD is powered by twin MTU 12V 2000 M92 diesel engines, delivering her a top speed of 18 knots and a cruising speed of 16,5 knots. 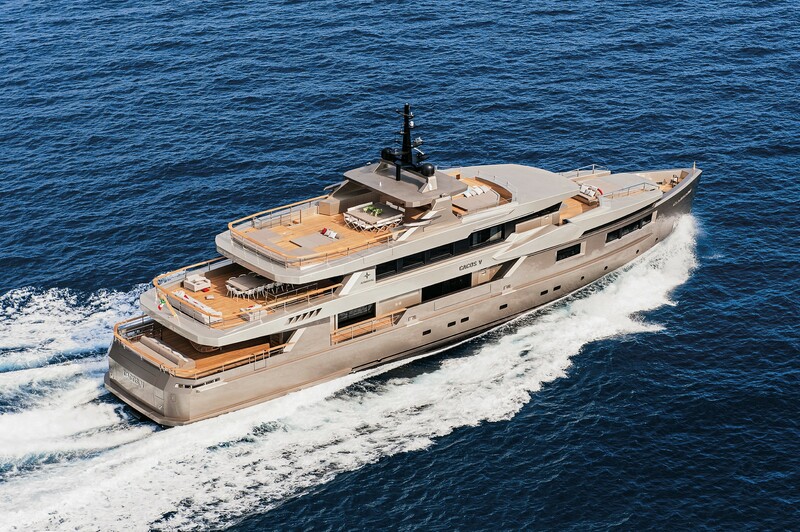 She has a beam of 8m (26'25'') and a maximu draft of 1,75m (5'74''). 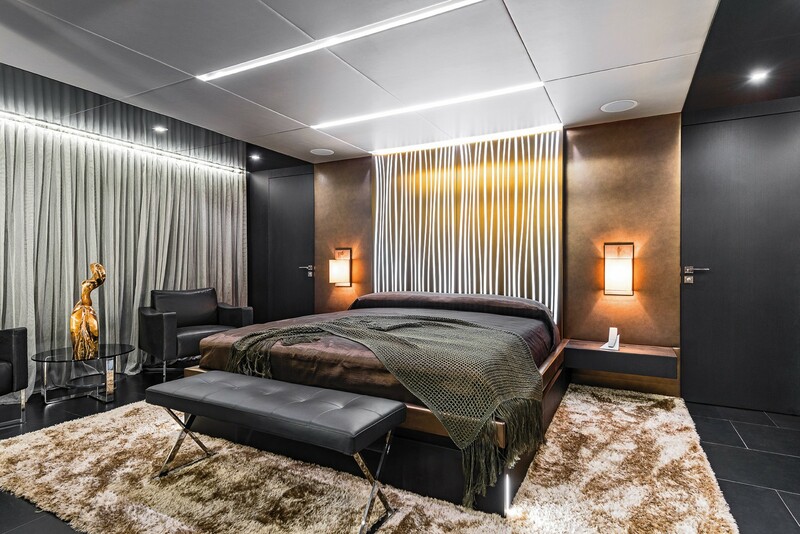 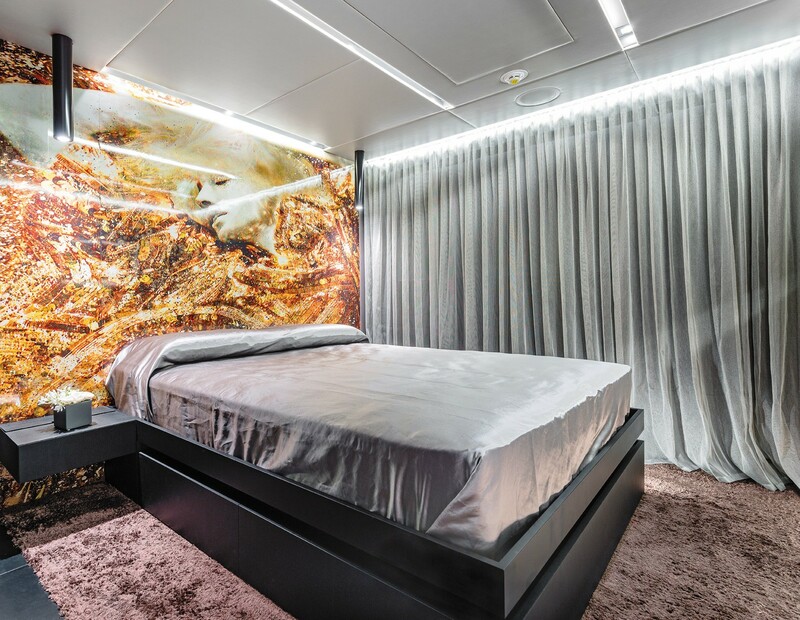 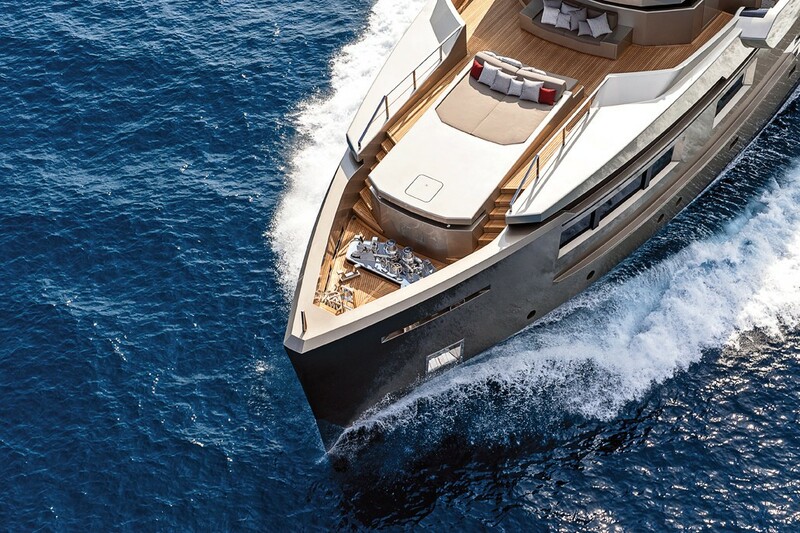 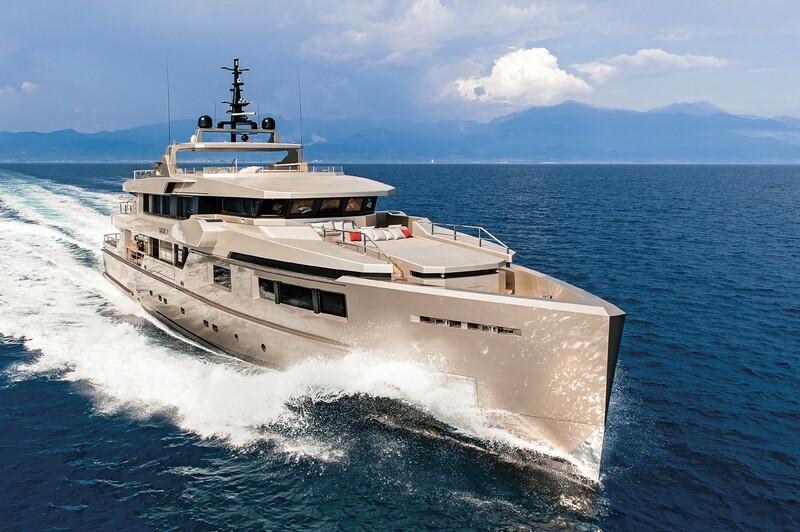 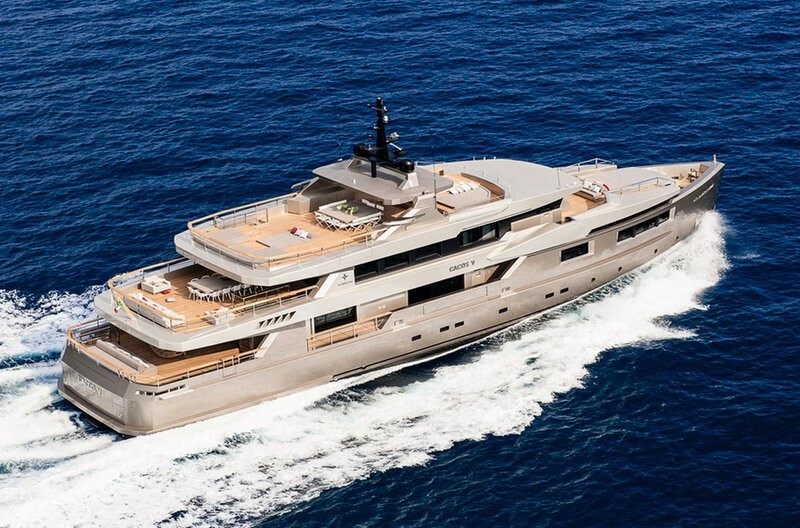 Accommodation aboard Impero 40 superyacht GIRAUD is offered in 5 beautifully appointed cabins. 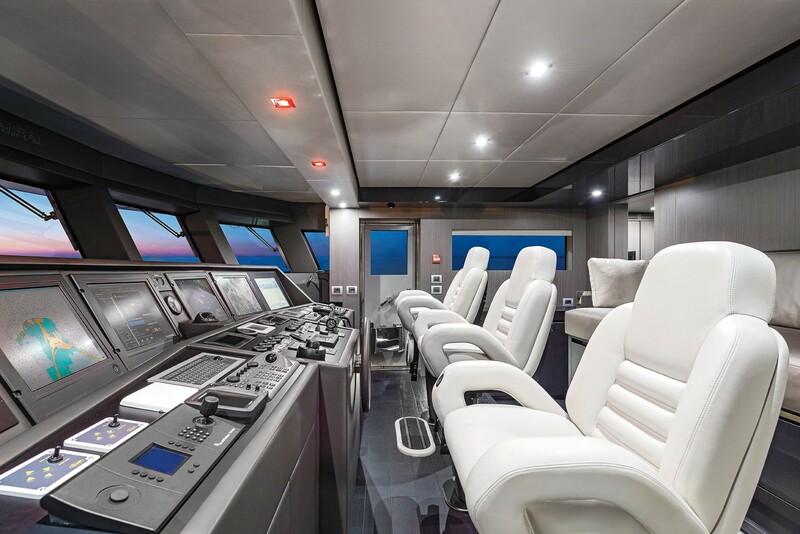 The Owner's area with a private office, a spacious full beam cabin and a double bathroom is located on the main deck, while the lower deck hosts 4 guest cabins, as well as the crew area with 3 cabins.